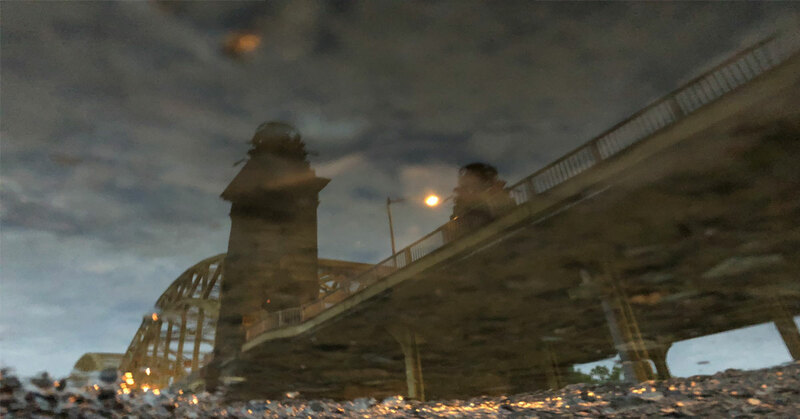 The reflection of this bridge in Pittsburgh, PA was captured from the puddles in the parking lot beneath. While waiting to check in for the 3 Rivers Art Festival, I decided to take some pictures to pass the time. There were a few puddles around so I had plenty of angles and puddle shapes to choose from.